​Click here to access the colleges that will be visiting Eastlake this year. To attend, sign-up in the Counseling Center. All presentations will be held in the Career Center. *SAT and ACT fee waivers are available for students who qualify for free/reduced lunch. Please see Ms. Niemeyer in the Counseling Center for your waiver. Kahn Academy - FREE SAT Online test preparation that links to your individual PSAT results. Prep at EHS put on by the Eastlake PTSA (fee) - email eastlakehsptsa@gmail.com in order to get additional information and to register. SDSU, UCSD and USD all have ongoing SAT/ACT Prep programs. Contact each school for more details. ​Kaplan (fee)- variety of prep options—all tailored to you! ​Princeton Review (fee)- Expert strategy, adaptive online learning tools, and on-demand support. CSU GPA calculation worksheet for your reference, click HERE to calculate your CSU GPA. *Please note: All Compact for Success students interested in attending SDSU must submit a college application during the application period in their senior year. More than 450 private colleges and universities have at least one thing in common: The Common Application. Visit online at www.commonapp.org for a complete list of participating colleges and universities. ​Interested in Community College? Meet with our Southwestern College peer ambassador, Samantha, Monday or Wednesday 7:30am-2:30pm in the Eastlake Counseling Center. Taking a SWC class on the Eastlake High School Campus or Online? 1. Complete this form and bring it to the SWC campus. 2. 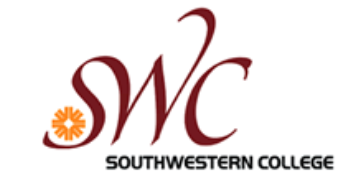 Complete the SWC online application. The California Community Colleges system consists of 114 colleges, with a large number of additional campus centers and classrooms throughout the state. The colleges are spread over a wide range of geography, from mountains to coasts, and rural regions to big cities. Each college offers a diverse array of educational programs, with specializations that reflect the unique character of the local region. Click here for more information. Compact for Success is the Sweetwater District’s guaranteed admissions program to San Diego State University. Compact for Success students must meet specific performance expectations starting in grade nine and continuing through high school. Parents, students, educational, business and community partners work together to accomplish these program goals. The Compact for Success has been honored with a Golden Bell Award from the California School Boards Association and earned a Magna Award honorable mention from the American School Board Journal. For more information on the Compact for Success, call 619-691-5824. EAP results provide an early indicator of your readiness to take college-level courses. What Makes a Course “College Level”? Students who demonstrate readiness for college-level, baccalaureate credit-bearing courses have the English and math skills necessary to succeed without the need for developmental courses. The credits you earn in these courses count towards college degree requirements. How Do Students Participate In EAP? All 11th graders will participate in the California Assessment of Student Performance and Progress (CAASPP) in English Language Arts/Literacy and mathematics. Your EAP results are included on the CAASPP Student Score Report. Your score report will provide an indicator of your readiness to take college-level courses. How Will Colleges Know If You Are “College Ready”? Let your EAP results count by releasing them to the California State University or California Community Colleges. Simply mark the release button at the end of the test. It’s that easy! If you do not mark the release button, you will be required to submit your results at a later date. Disclaimer: For Compact for Success the "CSU conditionally ready" only applies to CAASP test scores, not ACT or SAT. 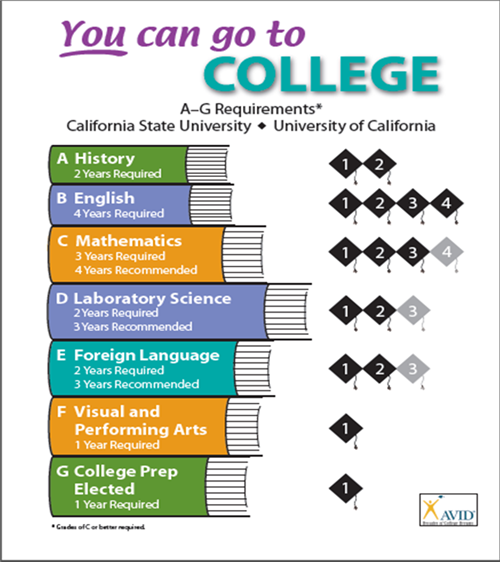 ​Compact students must meet the "CSU Ready" category for ACT or SAT. Give at least one month notice to counselors and teachers! For more information on recommendation letters and tips! The National Collegiate Athletic Association (NCAA) Eligibility Center for prospective student-athletes. A prospective student-athlete is someone who is looking to participate in intercollegiate athletics at an NCAA Division I or Division II institution in the future.